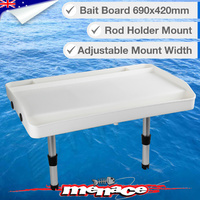 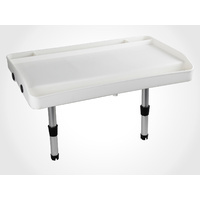 This extra large sized bait board slots into your existing flush mounted rod holders to give you more location options. It includes 3 recessed compartments for all your bits & bobs, plus a full width run-off tray at the front to keep your tray and boat clean, with optional drain hole. 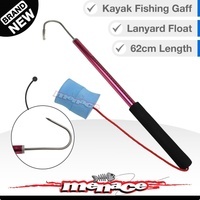 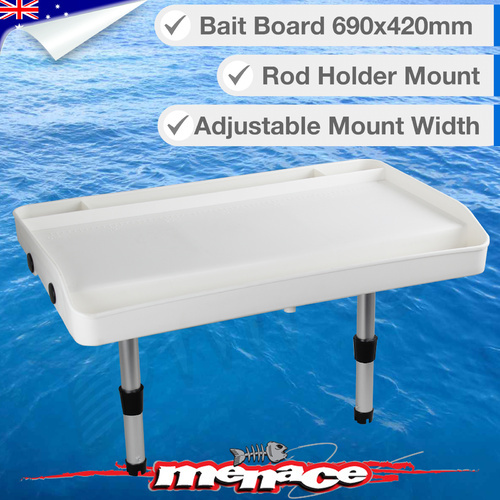 There is also a built-in 60CM ruler with raised markings on the board surface to measure your catch. 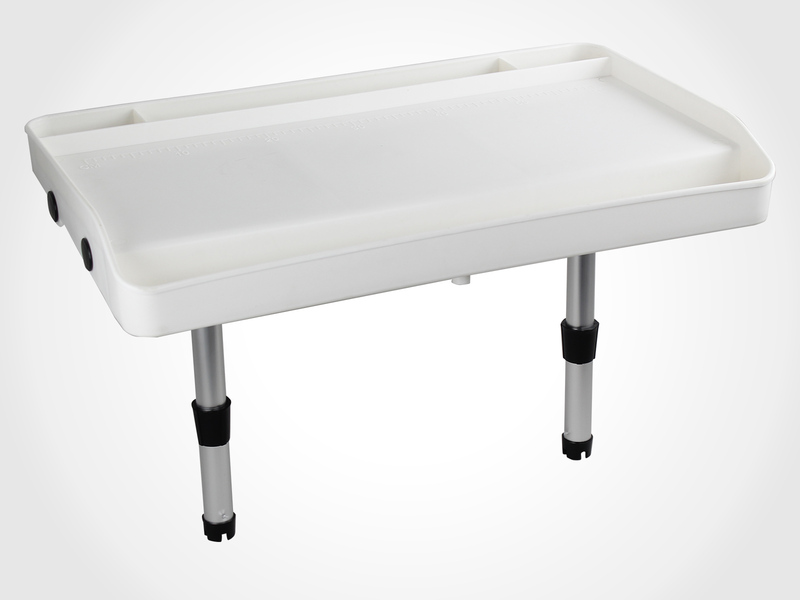 The underside of the board features two sliding mounts for adjustable mounting widths. 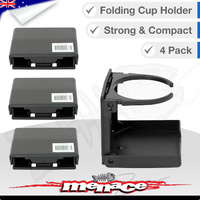 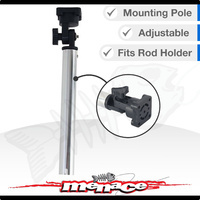 so it's unlikely you'll need to change your currently rod holder positions. 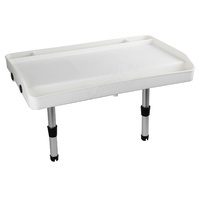 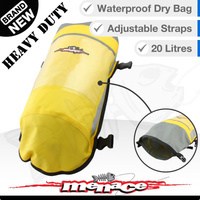 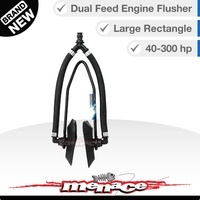 Made from sturdy food grade polypropylene. 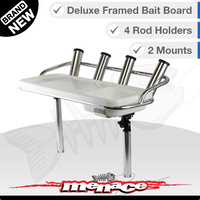 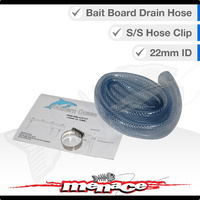 Both mounting poles come with a spacer to keep the bait board steady when mounted.